1. What is Socially Responsible or Impact Investing? By definition, socially responsible investing refers to the practice of utilizing an investment strategy that considers both financial return as well as a socially-conscious effort to promote positive change. You may have heard of socially responsible investing (SRI) referred to as many different things including sustainable investing, responsible investing, socially conscious, green, or even ethical investing. Another term, impact investing, refers to the devotion of creating a social impact based on investment choices. 3. 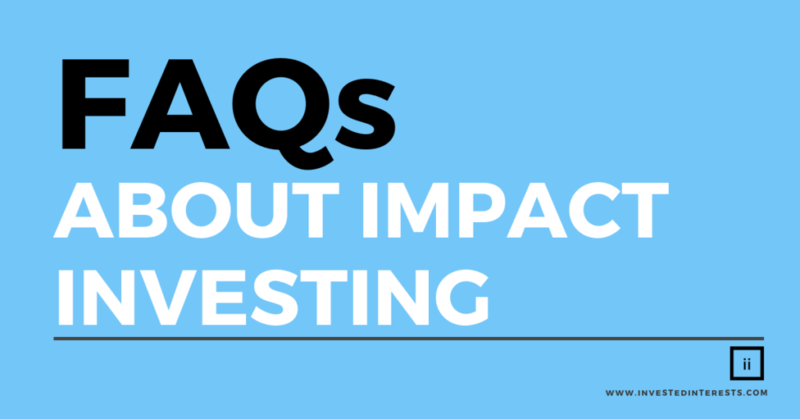 Why should I choose Impact Investing over standard Investing? Impact investing allows you to make a conscious investment decision – knowing exactly where your money is and what causes it is supporting. While impact investing still invests in large companies and corporations focused on profit, you get to choose which of those companies are making decisions at a high-level that align with your values. 4. Am I sacrificing performance? That’s the best part! Research shows that social responsibility funds have done better in the last 20 years than traditional investment funds! Take a look. 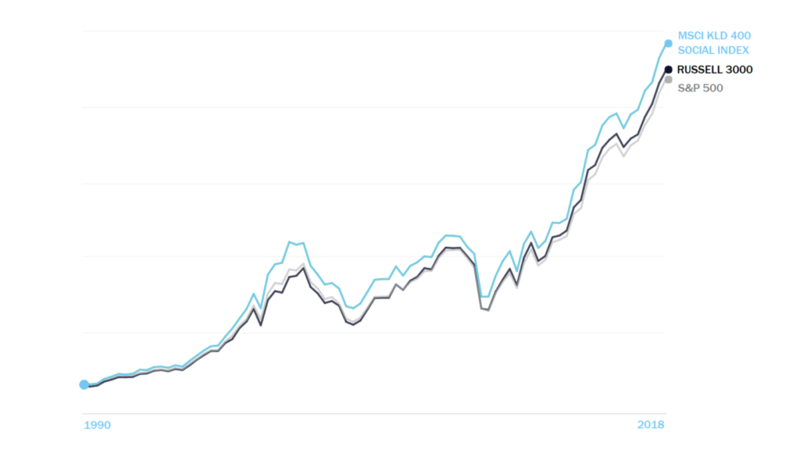 The MSCI KLD 400 Social Index is the socially responsible screened version of the S&P 500. 5. Your portfolios sound great, but I have other interests I’d like to invest in. What other social issues are available? Invested Interests has access to investment research on over 18 social issues including environment, abortion, adult entertainment, alcohol, animal testing, BP, corporate governance, defense, gambling, human rights practices, labor relations, minority diversity, involvement in nuclear power, discriminatory sexual orientation practices, business ties to the Sudan, ties to terrorism, tobacco, and weapons. If you have something specific in mind, get in touch. We’re always open to building new portfolios in the future! We provide investment advice and planning to clients like you! All of our investment services incorporate social issues. Our services range from a selection of mutual funds to planning for retirement and college expenses. Our advisors have years of experience and are qualified and licensed to offer financial advice. 7. Can I invest my retirement account or do a rollover? Yes! All investment accounts can be transferred or opened at Invested Interests including IRA, Roth IRA, SEP, 401(k), 403(b), UTMA, individual, unqualified, and more! 9. Is Invested Interests a mutual fund? No, each of our portfolios are separate accounts made up of mutual funds selected by our portfolio investment team. When you invest in a portfolio, you are investing in socially responsible mutual funds made up of companies that fit with the impact standards for each portfolio. 10. Who can open an account with Invested Interests? Anyone looking to make an impact through their investment decisions! As long as you are 18 years of age and a resident of the United States, you are able to open a flexible investment or retirement account. Questions about individual mutual funds or our portfolio options? Or want a customized portfolio? Request a FREE impact investment consultation, and we’ll be in touch!